In the devastating wake of recent hurricanes, hundreds of thousands of Americans must work to rebuild their lives. Storm damages are challenging enough, but dealing with the insurance fine print can complicate an already unpleasant situation. Hurricane victims facing insurance struggles sometimes call it “the second nightmare.” If you’ve been impacted by the hurricanes, here are a few things you can do to get around the fine print clauses and avoid them altogether in the future. 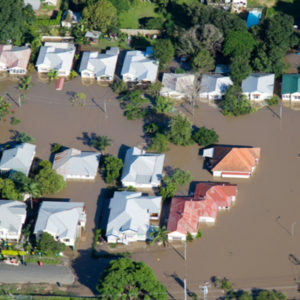 Only about half of the 10 million properties nationwide that need to have flood insurance do. U.S. residents have actually purchased less coverage over the past five years. In Houston, where Hurricane Harvey’s hardest blows landed, flood coverage has dropped nearly 10% since 2012. And the number of federal flood insurance policies in Florida, where Hurricane Irma hit, has fallen by 15%. Florida’s property owners still buy far more federal flood insurance than any other state, 1.7 million policies, covering about $42 billion in assets. However, most residents in hazard zones still remain exposed. So, the first struggle for affected families is determining whether they were properly insured. Risk modeling firm AIR Worldwide predicts losses to all properties from the flooding in Texas alone will be $65 to $75 billion, regardless of whether they are insured. And those that are properly insured will still face difficulties accessing monies owed. Exclusions and conditions hidden in the fine print can add confusion to an already complex policy. Insurance policy terms and fine print are rarely policyholder-friendly. So, it is especially important (even after the fact) to deal with insurance companies as cautiously and strategically as possible. Insurance companies may be trying to limit their payouts after a natural disaster. Some of the most common problems include frustrating delays, rotating adjusters, wrong information about what’s covered and what’s not, or “lowball” repair estimates and settlement offers. The biggest disagreement can come from an anti-concurrent causation clause common to homeowners policies. This clause, simply put, states that “an insurance carrier will not pay for loss if a covered event — typically wind — occurs at the same time as an event that’s excluded — usually flooding.” All but four states (California, North Dakota, Washington, and West Virginia) are affected by this clause, which is usually hidden deep in the fine print. There are ways to negotiate or disprove your qualification for the exclusion clause post-hurricane (ie. home videos of the wind occurring before the rain). But if Mother Nature spared you and you have the option to review your policy, definitely look for this clause. While cleaning up after a natural disaster can feel overwhelming, there is hope in rebuilding. There are many resources available to help including efforts from the Department of Homeland Security’s FEMA (Federal Emergency Management Agency) and charities like the Red Cross. And don’t forget, “Your fellow Americans, elected officials, and the media are paying attention to how insurance companies are treating the hurricane survivors.” No one likes a fine print bully! It’s not just the insurance companies we’re looking out for, though. Some state insurance regulators worry that Irma will open the door to more Assignment of Benefits (AOB) fraud, where contractors and attorneys are gaming the insurance system. In the process of rebuilding the future, all Americans should have freedom from hidden fees and fine print conditions. Millions of people are dealing with the repercussions of hurricane damage, and FeeBelly, the fine print detective, wants to help. Not only can FeeBelly help hurricane victims facing insurance struggles, it can also help regarding replacing possessions. In many of the necessary next steps, you will be required to review contracts or agreements (renting or buying a car, leasing a relocation apartment, checking warranties for appliance replacements, buying a new home, etc). And you’d better believe that there’s a booming hidden fee industry for every one of those contract types. But FeeBelly offers some peace of mind by reviewing every word before you sign the dotted line. As we wade through the ‘second nightmare’ aftermath, a little peace of mind can go a long way.